Weda Resort, Halmahera, North Maluku, Indonesia, welcomes you to come Diving, Snorkeling, Kayaking and Birding at Halmahera. 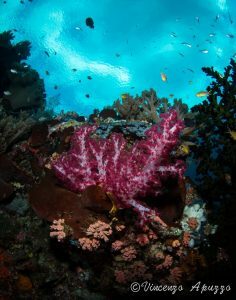 Dive and snorkel in the Heart of the Coral Triangle, with its amazing diversity of underwater-life. Explore the forested coast and rivers by kayak. Be part of the dance of the Wallace’s Standardwing Bird of Paradise and be astonished by the beauty of the other endemic tropical birds. Weda reef and rainforest Resort, on the east coast of Central Halmahera is situated exactly between Lembeh Strait and the Raja Ampat islands. Our very good and important neighbor is the Aketajawe National Park.You can access this park with us. 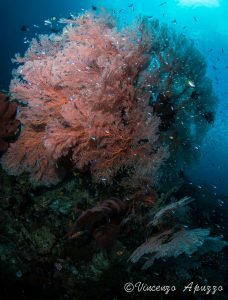 Weda Resort is together with Divers Lodge Lembeh, Magic Bay Rao and our Sawai Ecotourism Foundation a member of our Kesempatan Baru (New Chance) family. By staying at our Eco resort you contribute directly to the conservation of the forest and reefs and the development of the local communities of Sawai Itepo and Kobe Village. Please visit Sawai Eco-tourism Foundation and Vision about Eco tourism for more information. Eco tourism does not have to mean “uncomfortable”. Our beds and bathrooms, for example, easily meet the standard of any international hotel. Scuba Diver Australasia elected Weda Resort in 2015 as one of the top sixteen eco resorts in the Asian Pacific region. Full board accommodation rates start from IDR 750.000/EUR 45,50*/USD 55,50. * per night/person. Booking your holidays with Divers Lodge Lembeh, Weda reef and rainforest Resort and Magic Bay Rao is easier than your daily shopping! No deposit, No cancellation fee. Pay when you Check Out. Just send an email to info@diverslodgelembeh.com or info@wedaresort.com. See our pricing page here. Apart from a few high quality travel agencies, we do not cooperate with any online-booking agency. Please let us know if you prefer to make your reservation through an agency and we will advise you accordingly. 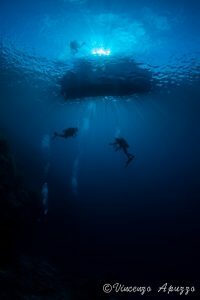 Until recent, Weda Bay was an unknown spot on the dive map of the world. Now 90% of our guests, many of whom have been diving in several other places in Indonesia, including Raja Ampat and Wakatobi, think it was their best diving and snorkeling ever! Our three boats are fast and comfortable. In this way we can cover a diving area greater than Bunaken National Park. Apart from the coastal reefs and the many beautiful reefs within 5 kilometers from the resort, there are many reefs about 10 kilometers out of the shore. 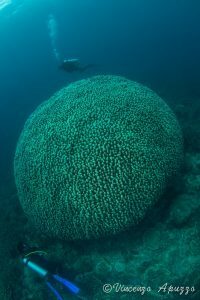 The furthest reefs we visit are 28 kilometers East of the resort, and to the South we go as far as 35 kilometers (1 hour trip, one way). Weda offers easy diving with hardly any current, along steep drop-offs with caverns and schools of fish, coral covered slopes, perfect shallow reef tops, bays with seahorses and other critters, and for the adventurous diver, an underwater mountain with “big stuff” and a Japanese shipwreck. A nice detail: there are no other divers 300 Km around. Have a look at the Images of the underwater-world of Weda Resort to see the underwater paradise on offer here. Weda Reef & Rainforest Resort is open the whole year. However, due to strong winds and waves during July and August, we do not offer any diving from 1 June until 15 September. Divers Lodge Lembeh opened in 2002, when not many people knew about Lembeh Strait yet, and Weda Reef & Rainforest Resort opened in 2011. After 4 years of preparation we opened in 2018 the dream of Linda at the Island Rao, where she was born. This Island with one of the most beautiful beaches is near Morotai, North Halmahera. Diving there is in one word: spectacular. Please mail for any length of stay and preferred dive-package at these resorts. It’s paradise on land as well; there are two species of Birds of Paradise in our own forest. 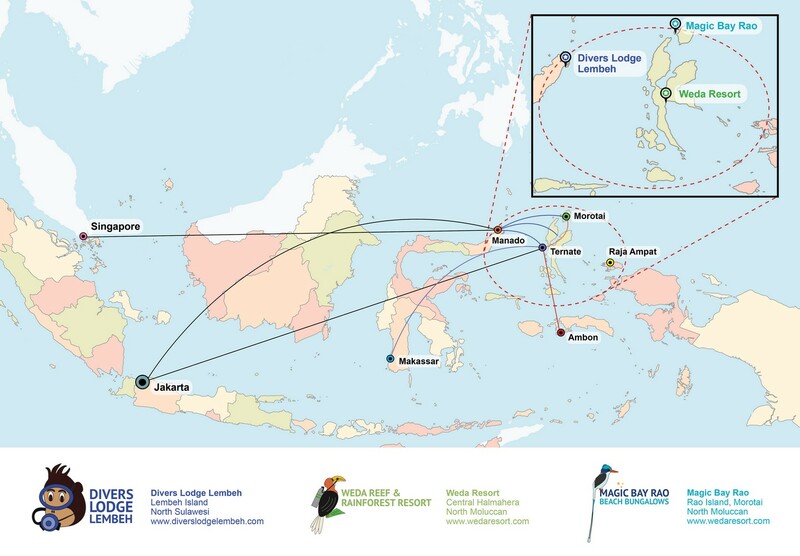 In a circle of only 25 Km around the resort, we spotted almost all of the more than 35 endemic species of Halmahera/North Moluccan birds. Together with the local community, we started a foundation for education and conservation of the primary forest and it’s wildlife: http://www.sawai-ecotourism.com/ We are proud to be able to protect 850 Hectares of primary jungle, home of the Wallace’s Standardwing Bird of Paradise, many other species of birds and other wildlife. This is absolutely the best place in the world to observe this beautiful inhabitant of paradise. You can also find the legendary Wallace Golden Birdwing and Ulysses butterflies here. On this website you will find an overview of the List of Halmahera birds we spotted and there are great images of birds and flora and fauna of Halmahera in the Gallery, too. Our foundation also manages a Sea Turtle conservation project, Kindergarten and other projects. Our open-air restaurant offers a great view at the forest and sea. Here the guests have their meals, family style, together at one table. The restaurant and lounge are smoke-free, but there is a separated part where one can sit and smoke without disturbing the other guests. The tasty and healthy meals are always freshly prepared. The Indonesian dishes really taste Indonesian, without being too spicy. Instead of only traditional frying of the vegetables, we also serve them steamed. There is extra home-made sambal for the guests who like it “very hot”. Pastas, potatoes and home-made bread are served to offer an alternative for rice and noodles. We do not use MSG nor palm oil in our kitchen and all food is Halal. Of course, we also cater for vegetarians, vegans and guests with other special dietary requirements. Below is a video put together by Marcelo Johan Ogata and gives you an glimpse of the underwater world of Halmahera. Enjoy! Below is a short movie which gives a good impression of Weda Resort and its nature around. Below is some unique footage of a new species of a walking shark found in Weda Bay. If you stay with us, you directly contribute to our education and conservation projects.